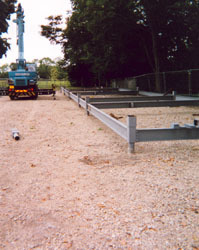 In 2002 Crocker Ltd was retained to install a helical pier-based foundation for an addition to the Leaden Hall School in the historic cathedral close of Salisbury, England. 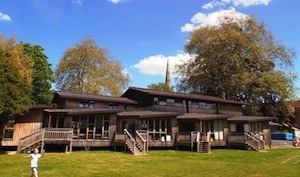 The buildings surrounding the new addition are of extreme historic importance, some dating to the Middle Ages, and the area assigned for the new construction was in a field underlain with a Roman era archeological site protected by English Heritage. 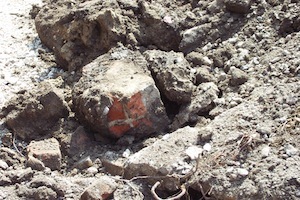 No vibration was allowed and Portland cement was specifically prohibited from the building scheme. The installation was further complicated by the geology; founding for high load capacity piers had to be achieved in the first 30 feet of alluvium which overlays several thousand feet of saturated chalk with no bearing strength whatsoever. 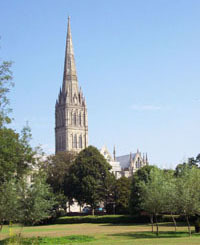 Geography also played a role; the site is in the floodplain of the Avon River and the building had to be kept three feet above grade. Furthermore, the river had to be protected from debris of any sort. 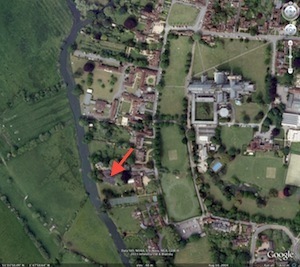 The cathedral close showing the location of the new building for Leaden Hall School. 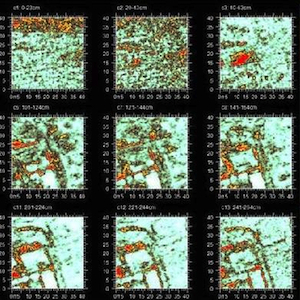 Ground penetrating radar allows for the non-intrusive discovery of cultural material and can direct the placement of the piers for minimal disturbance. This image reveals Roman ruins dating to ca. 100BC - 300AD. The site was bermed to prevent debris from entering the playground and the Avon River which is just this side of the hedgerow in the center. Movement of the equipment unearthed fragments of Roman masonry. 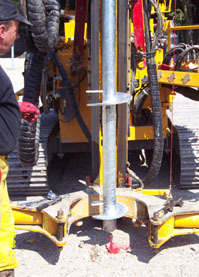 Hollow shaft 3.5" diameter piers were installed using hydraulically-driven equipment. Some of the piers were designed to carry loads of 60,000 pounds. Once installed, the pier shafts were cut off at the appropriate level. 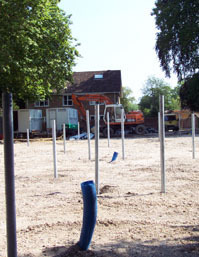 A total of 87 piers were installed. Spotting of the piers within very close tolerances allowed for the flawless installation of the steel substructure for the new building. 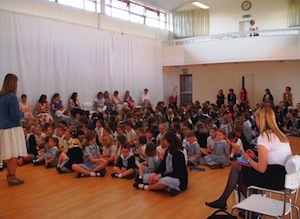 Part of the new building is a gymnasium requiring very high load capacity and stability. 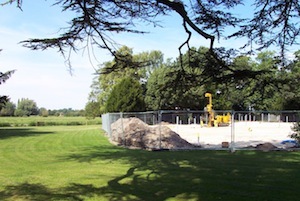 The new building on its completely reversible/removable footings.